ZipGo Technologies Pvt. Ltd, which operates bus pooling app ZipGo, has acquired Pune-based bus aggregator Supreme Trans Concepts in a cash-and-stock deal. According to a statement, the deal will make ZipGo the country's largest technology-driven, business-to-customer bus company across metrics including cities, fleet size, rides per day, and revenue. Supreme Trans Concepts co-founder Prashant Mohite will stay on as chief executive officer and also take up additional responsibilities as executive vice president at ZipGo, the statement added. Citing people it did not name, The Economic Times reported that the deal value was in the ballpark of Rs 100-120 crore (around $13.6-16.3 million at current exchange rates). Email queries sent to ZipGo and Supreme Trans Concepts did not elicit a response till the time of publishing this report. The deal marks ZipGo's first acquisition and comes two months after it raised Rs 300 crore (around $44 million) in a Series B funding round from Essel Green Mobility Ltd (EGM), a subsidiary of Essel Group's infrastructure arm Essel Infraprojects Ltd (EIL). ZipGo had said at the time that it would use the proceeds from its latest fundraise for expanding its bus fleet and route network while simultaneously transitioning to a 100% electric fleet. It also plans to add electric rickshaws to ZipGo’s platform across several states. “This acquisition will also help us accelerate our goal of bringing electric buses to market,” ZipGo chief executive Jitender Kumar said in the statement. Supreme Trans Concepts operates 150 buses to provide intra-city bus services under the MetroZip and CityZip brands in Pune. The company has an employee strength of about 200 and claims to serve more than 23,000 customers daily. The firm has an annual revenue run-rate of about Rs 42 crore. ZipGo was founded by Jitender Sharma, Gaurav Agarwal, and Pritesh Gupta in 2015. Sharma and Agarwal had previously founded radio cab booking app TaxiPixi, which raised an undisclosed amount in funding from Hyderabad-based mobile phone maker Celkon Mobiles in 2014. The platform currently operates in Bengaluru, Delhi-NCR, Hyderabad, Jaipur and Mumbai. It provides both intra-city and inter-city bus services for individuals and corporates, allowing users to book seats on its shuttle bus services through its Android and iOS mobile apps. The Android version recently crossed 1 million downloads. In all, ZipGo has raised around $53 million in funding till date. ZipGo had last year raised Rs 33.4 crore ($5.2 million) in a Series A funding round co-led by Omidyar Network and Chennai-based early-stage investment firm VenturEast Advisors. In July 2015, the firm had raised $3 million in a seed round led by early-stage VC firm Orios Venture Partners. Essel’s investment in ZipGo came shortly after another bus aggregation platform, Shuttl, had raised $11 million (Rs 75.5 crore in current exchange rates) in a Series B funding round co-led by Amazon Alexa Fund and Japan-based Dentsu Ventures. Last week, TechCircle reported that Shuttl had raised close to $1 million (Rs 7.3 crore at current exchange rates) from venture debt provider Trifecta Capital. A month ago, UAE-headquartered ride-hailing firm Careem acqui-hired app-based Indian bus shuttle operator Commut. Separately, Shuttl inked a pact with Commut to absorb its customers and driver partners https://www.vccircle.com/careem-acqui-hires-bus-aggregator-commut-shuttl-to-take-over-local-ops/. The sudden spike in funding activity in the space comes after a prolonged lull, during which homegrown ride-hailing unicorn Ola decided to shut its bus unit, Ola Shuttle, as part of efforts to ‘rebalance its portfolio’. Apart from ZipGo and Shuttl, Mumbai-based Cityflo had also raised funding in 2015. The trio positioned themselves as cheaper and greener alternatives in metros, providing long-distance trunk routes connecting housing suburbs with business hubs. But investor sentiment dampened after these players fell foul of local transport authorities and public transport services owing to ambiguities in the rules and allegations that they operated without permits. ZipGo had at one point pivoted its business model to serve only corporate customers after its shuttles were frequently detained. 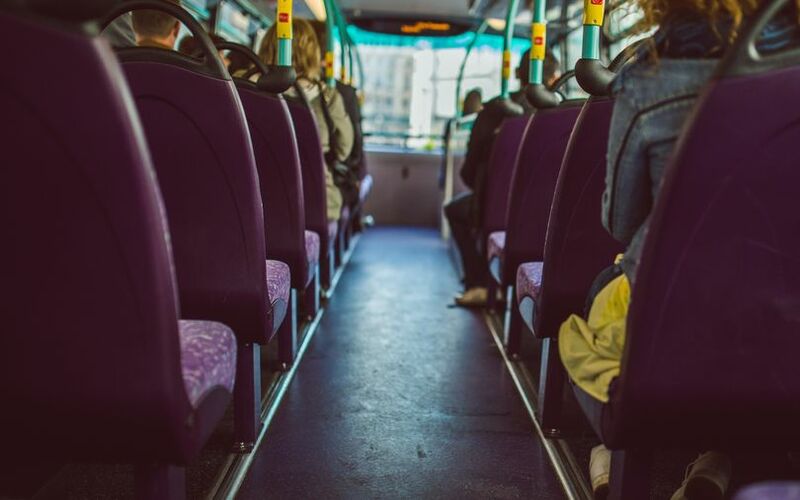 A TechCircle analysis last month showed that bus aggregators face a number of hurdles on the road to maturity such as last-mile connectivity, with patient capital being the need of the hour.